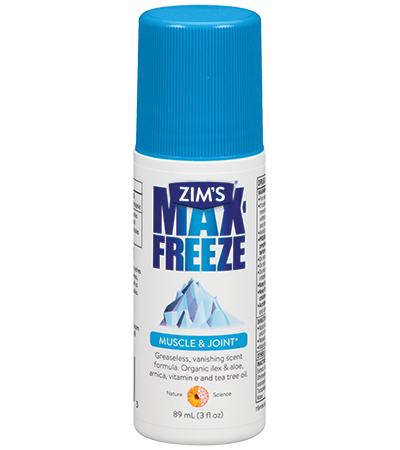 "I actually tried Zim's Max-Arnica a while back--it certainly helped with my sore shoulder! I gave it to my Mom who was having pain in her legs--yup it worked for her too!! As a matter of fact just recently she asked if I had any more----this really works." This is NOT a sponsored post by Zim's this time---but If you click on the link and make a purchase, as an Amazon affiliate, I will get a small commission. 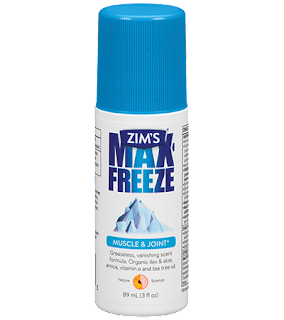 Although it will take quite a while for that muscle to heal once I use the Zim's Max Freeze roll-on--I am able to move pain free for a while at least until I have to reapply it. This stuff really does work!!!!! I'll have to tell my dad about this. He's always in pain! I'll have to keep this in mind. The elevator in one of the buildings where I live was broken for almost a year. It is three stories, and people in their 80's on the top floor, they were hardly able to go anywhere for a year, their kids got them groceries, etc. Seven stories is a lot! Good thing they got it fixed without having to wait too long. OMGoodness seven flights of stairs and that many times. It is a wonder you don't have many more things hurting, you must be in pretty good shape. One of these months I am going to give up this bed and start living. When I do I'll come back here for the Zims Max Freeze! It's great to have a pain relief that works in a unique way. I have never heard of this brand. I need to give it a try! I’ve seen this but haven’t tried it yet. I will have to give it a try and do a comparison with the product I currently use. I appreciate the advice because...everybody hurts sometimes. I am a HUGE fan of arnica, & am always curious to learn about new brands! I really like the look of this one - the roll-on is an useful feature! I'm glad this helped your hurting muscles. I'll recommend this to my sister, who has chronic pain. I have never seen this product before. Sounds interesting. It is nice to have options like Zims when activities can be painful. I get bursitis at times and this might be a good solution. I'm a fitness instructor and runner. I workout everyday, so my muscles usually need an aid for recovery. Thanks for introducing me to this product. If the pain is in my back, neck, or shoulders, I usually do pull ups or a dead hang ad that stretches it out. Never heard of this brand. I am always looking for something to help with back pain so I am going to have to try this. I usually use ice, i'll have to try this. This stuff sounds amazing! I will definitely have to give it a try, thanks for sharing! I have never tried this but Tiger Balm works for my wife's migraines. That looks like a great product. I'm always looking for new products to try for my aches and pains. I've had a pain in my arm for a couple of days now ,I think I'll give this a try. Thanks for the info.